Duxbury’s are members of the Royal Institution of Chartered Surveyors (RICS) with a wide range of expertise in both residential and commercial property with a commitment to providing you with an independent service, geared to excellence and presonal attention. We have a belief that there are no short cuts to achieving the best possible service and that above all, a satisfied client is our best advertisement. 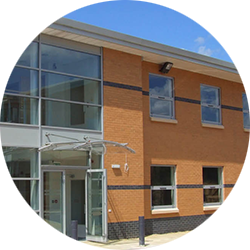 Our experience covers the full spectrum of the commercial property market. Personal attention and pro-active advice are at the heart of our service. We have a reputation for building strong client relationships based on a mutual trust and respect. Open communication and accessibility are central to our operation. We act for a wide range of clients from private individuals and property companies to charities and trusts. Several leading High St banks and financial institutions also retain us as panel valuers. With our personalised, individual service, we aim to become part of your team and act as an extension to your business. Success in commercial property, acquisition and letting is highly dependant on market knowledge. And thats not just knowledge of the open market but also a full awareness of what is going on behind the scenes. With our contacts and in-depth experience of the local freehold and leasehold property sector, we are well placed to advise clients on all aspects of buying, selling and letting. This includes property search and identification, market commentary, valuation, surveys, planning applications and leasehold agreements. For the property investor, we offer a full market analysis, advice on valuation and growth potential, and the latest intelligence of off-market opportunities.